150m+ Buildings 157 Completed • 19 Under Constr. 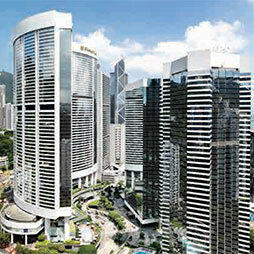 300m+ Buildings 5 Completed • 3 Under Constr. 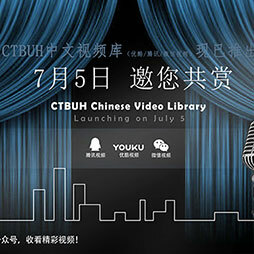 CTBUH has built Chinese video libraries on many media platforms, including Wechat public account, Youku Video and Tecent Video. 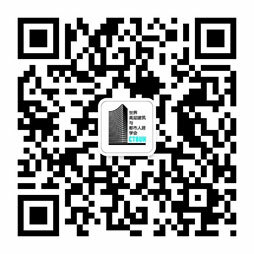 CTBUH upgraded the Wechat account, it has a brand-new user interface, focus on the latest development of tall buildings and urban habitat of all over the world. 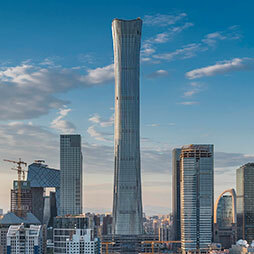 The China Tall Building Awards Jury is pleased to announce the winner of the inaugural China Best Tall Building Overall Award: Bund SOHO, Shanghai. 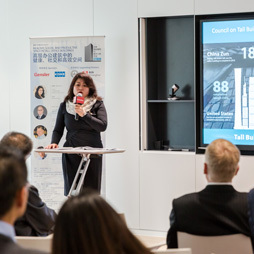 CTBUH China’s first 2016 event was a look back at a record-setting 2015, from the perspective of the country that contributed the greatest number of tall buildings 200 meters or higher. 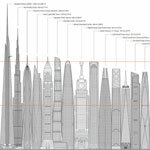 Tall Buildings and Urban Habitat Now Available! The first two issues of Tall Buildings and Urban Habitat, the Chinese-language edition of the CTBUH Journal, are now available for purchase. 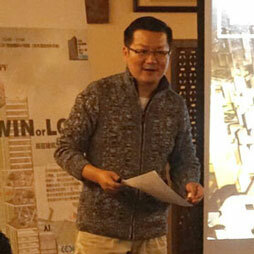 Tongji students in the collaborative design studio, “Network Reshaping Downtown: Transit-Oriented Mega-Development,”presented their final designs. 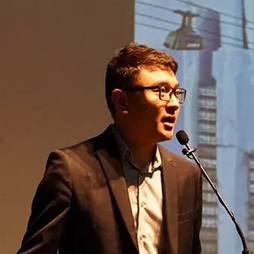 Zhi Wenjun, TJUP, and Daniel Safarik, CTBUH, recently signed an agreement covering several publications, including a Chinese language version of the CTBUH Journal. 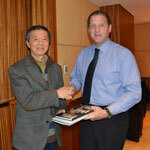 CTBUH signed the first of several planned publishing contracts with Tongji University Press for the book related to the 2016 International Conference. 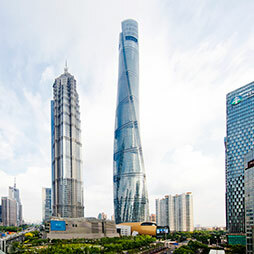 The construction tour of the impressive Shanghai Tower allowed delegates to ascend to the 119th-floor observatory, as well as explore a finished 12-story atrium. The visit to the Bund Finance Center, a focal project of the Conference’s second plenary, included a side trip to the Jiushi Headquarters by Foster + Partners. Delegates met at the office entrance of the newly completed L’Avenue tower. The design of this structure was meant to reflect the luxury and high-end design of the building’s owners. 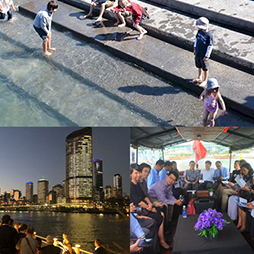 The Riviera Twin Star Square Tour was immediately followed by the Lujiazui Harbor City Development Tour, a development on the site of the Shanghai Shipyard Factory and Drydock. 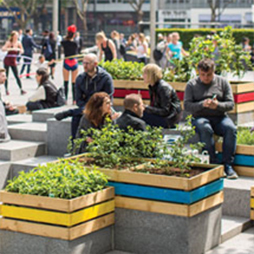 The survival of humanity relies on a repositioning of our cities to develop them beyond a collection of disparate icons, towards a connected Sustainable Vertical Urbanism. 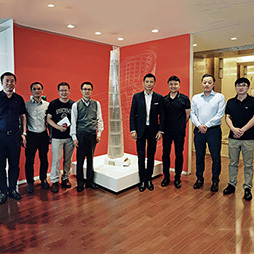 At the Shanghai International Finance Center, attendees toured hotel spaces, an unoccupied office floor, technical facilities including a mechanical floor, and the top floor restaurant. Delegates for the Sinar Mas New Bund tour were given presentations by SOM & APP, who described the planning of the complex & the derivation of its organic form from the Magnolia flower. The tour of the Taiping Finance Tower revealed the surprise of full-height glazing in the lift generator rooms, which offered an excellent view of the city. 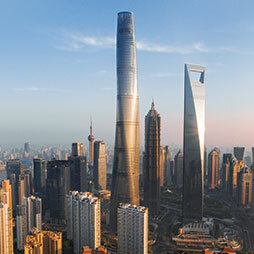 The tour of the Shanghai Arch began with a brief look at the building’s exterior, followed by visiting the footbridge to the main entrance, the skygarden, and the Shanghai Arch Village. 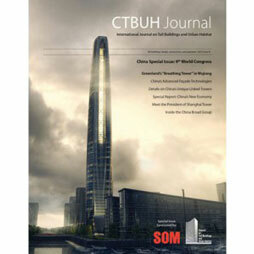 In conjunction with the 2014 Shanghai Conference, CTBUH published a special edition of the Journal that focused on China. 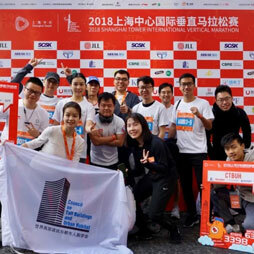 The CTBUH will establish its physical CTBUH Asia Headquarters Office within the College of Architecture and Urban Planning (CAUP) at Tongji University. 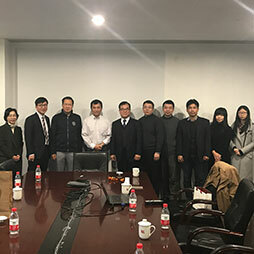 The final review marked the culmination of a semester of intense work for the students and tutors involved in the “Towards Zero Carbon,” a design studio undertaken by Tongji University. 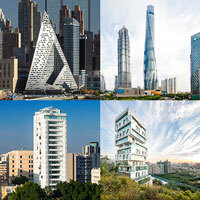 The Shanghai Post Conference Review celebrates some of the papers, presentations, tours and special events that took place at the CTBUH 2012 Shanghai Congress. 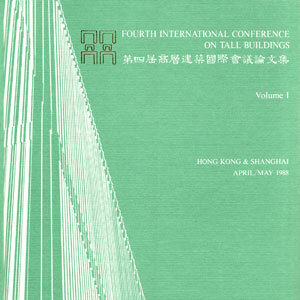 The proceedings of the CTBUH 9th World Congress, held in Shanghai from September 19th - 21st 2012, includes all 114 papers in both a hardcover book and a DVD. 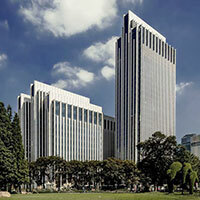 The Jiushi Corporation Headquarters in Shanghai, now over 10 years old, still stands out within its urban context. The twin towers of the IFC, though not identical, create a unique dialog with the surrounding Shanghai context. 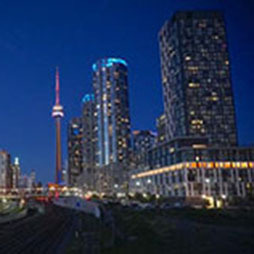 The mirrored towers of the Riviera TwinStar development have delicately articulated facades and extensive outdoor areas. 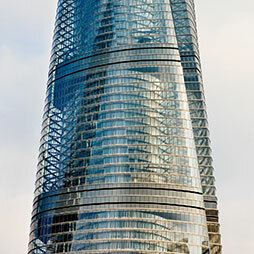 Scheduled for completion in 2014, the tour of Shanghai Tower offered a unique glimpse into the construction of the megatall building. 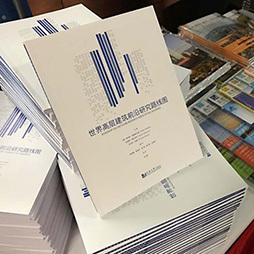 In conjunction with the Shanghai 9th World Congress, CTBUH published a special edition of the Journal that focused on China. This building has a fantastic balance and poise. The towers stand out for the new spatial dimension they give to the “emptiness” that lies between them. 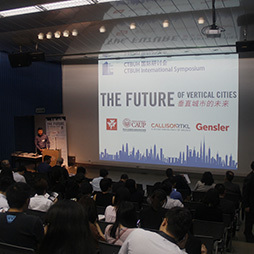 David Gianotten from OMA presents at the 2014 Shanghai Conference closing plenary on "The Public Meaning of Skyscrapers: Shenzhen Stock Exchange and CCTV." 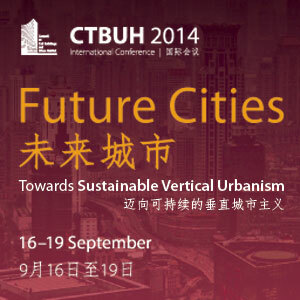 18 Sep 2014 – Presentation at CTBUH 2014 Shanghai Conference; Duanxue Shi, Shanghai Construction Group Co., Ltd.
18 Sep 2014 – Presentation at CTBUH 2014 Shanghai Conference; Zhijun He, Tongji Architectural Design (Group) Co., Ltd.
18 Sep 2014 – Presentation at CTBUH 2014 Shanghai Conference; Haochuan Lang, Shanghai Jianke Engineering Consulting Co Ltd.
18 Sep 2014 – Presentation at CTBUH 2014 Shanghai Conference; Weining Song, Shanghai Tower Construction & Development Co., Ltd.
17 Sep 2014 – Presentation at CTBUH 2014 Shanghai Conference; Kazunari Kano, Mori Building Co., Ltd.
17 Sep 2014 – Presentation at CTBUH 2014 Shanghai Conference; Xiaobo Chen, Shanghai Tower Construction and Development Co., Ltd.
Time lapse of the the construction of The Broad Pavilion in one day for the 2010 Shanghai World Expo. 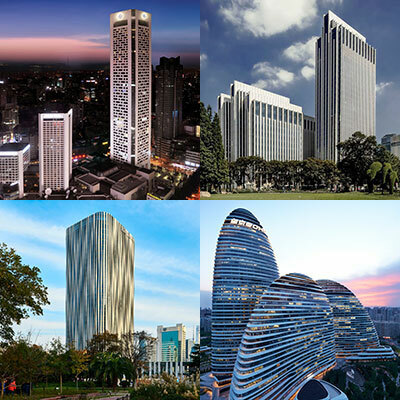 1 Mar 2017 – International Journal of High-Rise Buildings Volume 6 Number 1; Xin Zhao, Tongji University; Shehong Liu, Tongji Architectural Design (Group) Co., Ltd.
26 Oct 2015 – Asia & Australasia: A Selection of Written Works on the World's Tall Building Forefront; Jianping Gu, Shanghai Tower Construction & Development Co., Ltd.
1 Mar 2015 – International Journal of High-Rise Buildings 2015 Number 1; Qilin Zhang, Bin Yang, Tao Liu & Han Li, Tongji University; and Jia Lv, East China Architectural Design & Research Institute Co.
16 Sep 2014 – CTBUH 2014 Shanghai Conference Proceedings; Jianping Gu, Shanghai Tower Construction & Development Co., Ltd.
16 Sep 2014 – Shanghai Tower: In Detail; Zhenfeng Gao & Duanxue Shi, Shanghai Construction Group Co., Ltd.
16 Sep 2014 – Shanghai Tower: In Detail; Zhijun He, Jiemin Ding & Jiupeng Li, Tongji Architectural Design (Group) Co., Ltd.
16 Sep 2014 – Shanghai Tower: In Detail; Qi Hu, Jiankun Information and Technology Co., Ltd.
16 Sep 2014 – Shanghai Tower: In Detail; Yadong Li, Haochuan Lang, Jing Sun & Xiangdong Xu, Shanghai Jianke Engineering Consulting Co., Ltd.
16 Sep 2014 – Shanghai Tower: In Detail; Zhenghong Liu, Shanghai Tower Construction & Development Co., Ltd.
16 Sep 2014 – Shanghai Tower: In Detail; Youdi Shen, Shanghai Tower Construction & Development Co., Ltd.
16 Sep 2014 – Shanghai Tower: In Detail; Song Weining, Shanghai Tower Construction & Development Co., Ltd.
16 Sep 2014 – Shanghai Tower: In Detail; Bin Zhao, Shanghai Tower Construction & Development Co., Ltd.
Sep 2012 – CTBUH 2012 9th World Congress, Shanghai; Bao Li Gao Meng Gen, Shuguo Zhao, Yongjun Li & Hang Liu, Shenyang Yuanda Aluminium Industry Engineering Co.,Ltd.